Blur- is a racing game, that includes many other features other than just coming first, one of which, is abilities you are able to pick up during the race, abilities that give an advantage, such as speed boosts and attacking abilities that will damage the opponents. The theme consists of driving in dark streets, some of which are in known places, which relates to the game theme of my idea. Another thing that relates to my game idea is that you get rewarded at the end of every race, with points- that allow you to purchase better cars. Hud placement for blur- what i have noticed for most racing games is that the hud is close to the actual car, for example the cars condition and how fast you’re going is presented very close to the car you will mostly be looking at, while playing, having the HUDs close to it will make it easier for the player to keep an eye on his most important HUDs. Final HUD evaluation, the process- to get started up on making my hud i drawn out a few designs in my sketchbook, to get an idea of where to place my HUD around the page. I then went onto researching some other games, mainly Blur the racing game, this game helped me come up with the theme of my HUD- quite futuristic. When i was done with my research i went onto developing pieces of the HUD further, such as the logos’. To make my HUD i made every layer in illustrator then put it into Photoshop and adjusted it around the screen. The health bar and Speedometer, to make this i used the pen tool and made a rectangle shape, then slightly adjusted it, i then duplicated the shape and enlarged it, a few times, when i had quite a few i lined up i used to eraser tool to give it a curve. Furthermore, it was then put inside photoshop, and worked into 3D, to do so i right clicked the layer and clicked on “new 3d extrusion from selected layer”- which allowed me to give it a 3D effect. The Logo’s- firstly, i drew basic shapes in my sketchbook, such as rectangles, i then developed the shape by extending corners or drawing it slightly different every time,after a few pages of logo development, i got the final designs. Furthermore, i then drew the designs out in illustrator, using the pen tool and the rectangle shape tool. iI then Selected the colours to match the team theme and opened them on photoshop, Finally, i then applied 3D to them inside photoshop. In conclusion, i think my HUD turned out to look pretty good, compared to actual car games, while my HUD has some quite nice pieces o it, for example my health bar. 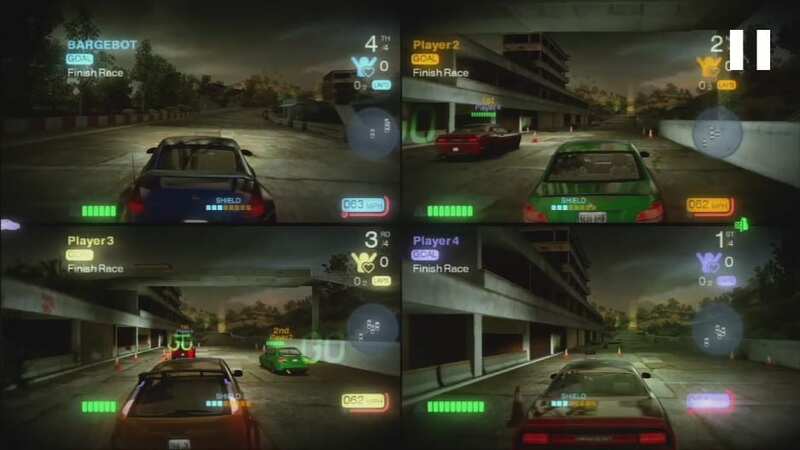 Furthermore, the HUD also could look like a proper HUD when it is put over a racing game image. Copyright-he exclusive and assignable legal right, given to the originator for a fixed number of years, to print, publish, perform, film, or record literary, artistic, or musical material. an example of copyright would be using a song made by another artist in your video. According to the law the original owner has the right to sue the thief if there is harm done, for example the owner losing money .This is wrong ethically because no one would like credit to be stolen from them. in this assignment I can’t use big car brands or logos or car design because its ethically wrong, its a against the law for me to use a car design that belong to Mercedes or jaguar for example, as well as using hud from already existing games. This also applies to music I can’t use someones music in my game without their permission. For this assignment i wouldn’t be allowed to use big car brands or the car design as it is ethically wrong and is against the law to use car designs that belongs to brands such as Mercedes. Another thing i cant use is the actual hud from other games, furthermore, it also applies to music.